Rhizomed is a thumb brace. 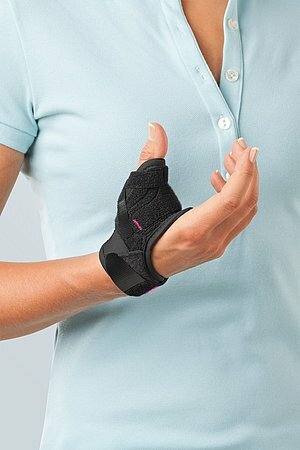 The product is exclusively to be used for the orthotic fitting of the thumb joint and only on unbroken skin. Open all hook and loop fasteners and slip the orthosis onto your hand. First close the hook and loop fastener at the thumb, then the pressure point on the palm, and finally tighten the wrist strap and secure. If the strap is too long, the hook and loop fastener may be removed and the strap trimmed with a pair of scissors. Please note: do not fasten the hook and loop fastener at the thumb too tightly. If you experience pressure pains loosen the fastener. Consult your orthopaedic technician or doctor should pain continue. 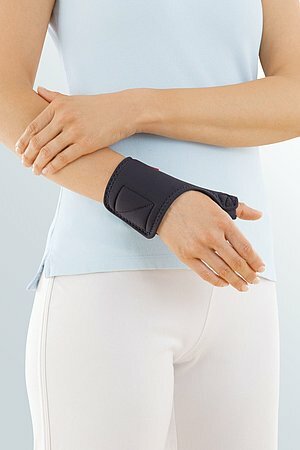 If you feel pressure pains on the back of your hand please attach the enclosed Velcro pad to the strap. 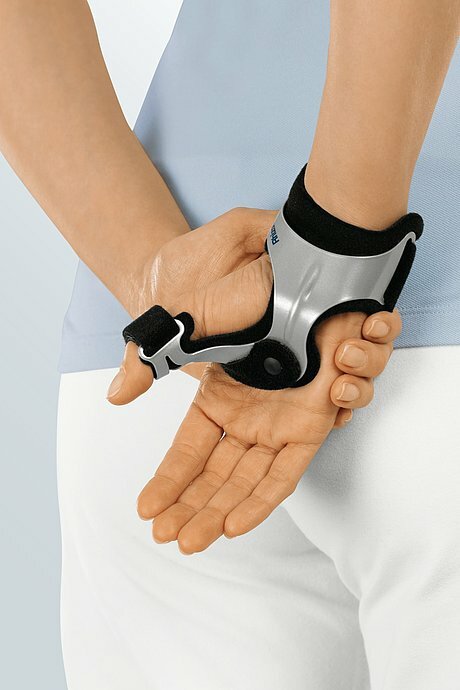 The enclosed strap can be used to provide additional thumb stability: attach the Velcro tab to the aluminium splint below the thumb strap opening, then pass the strap around the thumb and fasten. 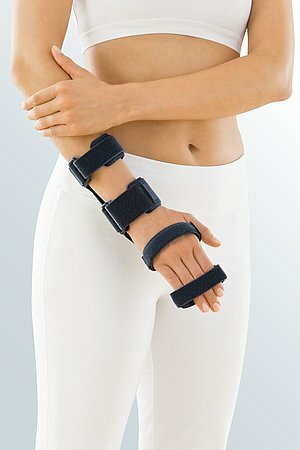 How to use our Rhizomed thumb braces. Date of issue: from March 2019.